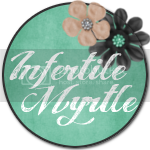 The Infertility Overachievers: Cool People and Websites You Should Check Out! Ashley Baumann Photography and Design:Ashley is very talented photographer located in Savannah Georgia. She also does amazing invitations, birth announcements, logos, website design, and pretty much anything else you can thing of. Hairbows 4 Kiddos: Juanita is a fellow Army wife who makes gorgeous handmade hairbows. Her prices are amazing, and she can customize to match any outfit. Check her out! Bugaboo Jewelry: Specializing in Miscarriage, Stillbirth and Pregnancy-Infant Loss Jewelry. Want to become a sponsor? 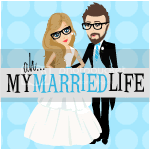 Email me at Aly (at) infertilityoverachievers (dot) com to become a sponsor or sponsor a giveaway today!